Once again, we return to the place. We have all made the journey, some way too many times....we do so, despite the pain it brings. 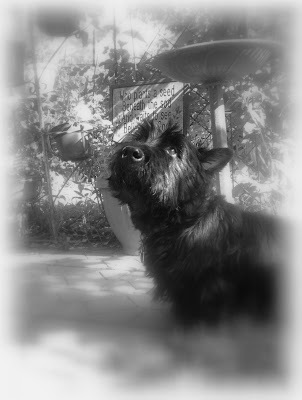 For Angus and Wilf know that our Angus and our clan are thinking of you. Digby will be waiting....at the Bridge....along with Java, Puff and all the other fur angels. Thank you so much for your kind comments on our blog. It's good to be comforted by those that understand the ache in the heart. this is a most beautimous tribute to our doggie friendz who are watchin' over us from heaven now.